OK, you've done the right thing and installed your rainwater barrels—so now what? 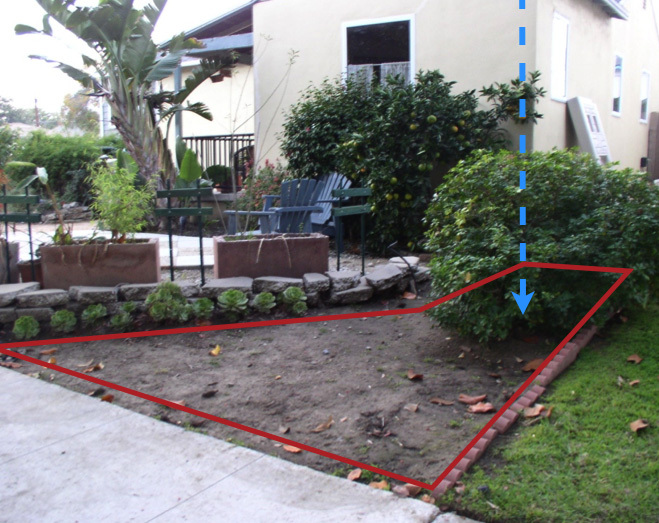 Create an adjacent Rain Garden for the overflow! Come join your local Transition chapters and friends for this barn-raising-style work party to help support residential lawn conversions. 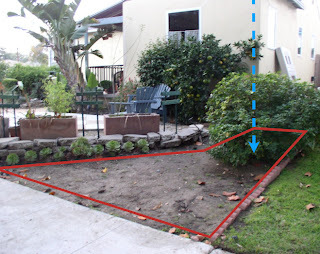 On this project, come learn "on-the-job" as you help install a simple passive, hidden "reservoir" for rain water collection to transform this 8'x15' patch of dirt into a garden of edible CA natives. Landscape architect John Tikotsky will be on hand to lead the troops as well as give short teach-ins on how to calculate your roof's water catching capacity and other water catchment strategies. Water gardens provide no-cost irrigation to the homeowner while helping replenish our local aquifer and protecting our seas by capturing on-site what would have become urban street runoff. Bring your gardening gloves, wear sturdy shoes and be ready to get dirty! Some tools will be provided, but you are welcome to bring your favorite digging tools from home (Also seeking a wheelbarrow). The day includes lunch and other refreshments, some music and lots of good cheer from your local Transition groups. All volunteers of every level of expertise are welcome. Co-hosted by Transition Mar Vista and Transition Culver City as part of their re-skilling workshop efforts and the TCC GrassUpRoots campaign.